Last week, I asked the question “Is Case Keenum really that good?” And for almost 4 complete quarters against the Saint, the answer was “no”, as Keenum was only 24 of 29 for 257 yards, ) TDs and 1 INT. Wow, what a difference a 61-yard walk-off TD makes! The surprise ending was a lot to do with Stefon Diggs and Marcus Williams, but let’s give a little credit to Keenum, who led the the Vikings this season to having the 3rd best passing offense in the NFL. And even before the walk-off, Keenum’s performance against the Saints 5th ranked pass defense isn’t horrible. I had assumed that the Vikings would try and establish the run against the Saints 23rd ranked run defense, Latavious Murray never really got going, averaging an anemic 2.6 yards per carry. Jerrick McKinnon looked better with 4.3 yards per carry on 8 carries, and both RBs got a rushing TD, but I expected the Vikings to do more. It will be much harder against the Eagles 3rd ranked run defense that has allowed the least amount rush yards to opposing RBs this season. The Vikings will likely have to rely more on Keenum, but the Eagles are also solid on pass defense, being ranked 7th in the league. Thankfully for Keenum, he has two standout WRs in Adam Thielen and the aforementioned Diggs, as well a huge redzone target in TE Kyle Rudolph. The other important fact is that the Vikings are incredibly careful with the ball as they have the 3rd least giveaways of any team this season (14). Plus they’re terrific at ball control having the 4th most 3rd Down conversions per game (5.9) and the 2nd highest time of possession per game (32.26 min). This was in full display against the Saints as the Vikings converted 59% of 3rd Downs and dominated time of possession 33:17 to 26:43. A similar approach against the Eagles makes sense, tiring out the Eagles strength, their defense. Of course, they’ll want to avoid desperate situations, as they have the least 4th Down conversions per game (0.1). The Vikings defense is, in a word, formidable. The Vikings have the second best defense in the NFL, but they’re really good against RBs, being 5th against the run and 1st against RB receptions. The Eagles essentially no ground game, averaging just 3.0 yards on 32 rushing plays against the Falcons. It’ll be even harder against the Vikings. 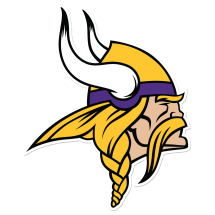 In addition, according to Pro Football Focus, the Vikings’ defense has allowed just 25.2 percent of their opponent’s 3rd Down attempts to be converted, the best among all NFL teams this season. And in particular, Anthony Barr racked up 38 stops this season, which is tied for the 7th most among 4-3 outside linebackers. And one can’t understate the contributions of S Harrison Smith this season and his ability cover huge distances in pass defense. As I mentioned last week, the numbers on the Eagles are a little skewed since Carson Wentz is on IR. We saw Nick Foles perform inconsistently against the Giants 20th ranked pass defense, the Raiders 30th ranked pass defense and the Cowboys 18th ranked pass defense before being “rested”. 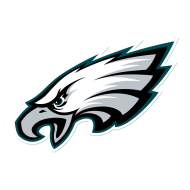 And in the Divisional Playoffs, Foles showed another side, and that’s of an efficient game manager, completing 23 of 30 passes for 246 yards and no scores and no INTs. In essence, it doesn’t appear Foles will win the game for the Eagles, but he certainly won’t lose it for them either. Instead, the Eagle relied heavily on Jake Elliott, who managed FGs of 53, 37 and 21 yards. A lot of the matchup against the Vikings that will depend on whether Foles maintains his game manager role and stays conservative. Foles was so conservative in the Divisional Playoffs, that over a third of his completions (8 of 23) went to RBs. In the greater scheme of things, this doesn’t bother me if it ensures there aren’t any INTs, but Foles needs to take few shots downfield to Alshon Jeffery, Nelson Agholor and Zack Ertz if he wants to loosen up this elite Vikings defense. Another portion will depend on whether the Eagles can get any semblance of a ground game going. Jay Ajayi managed 3.6 yards per carry, but committed a fumble, while LaGarrette Blount cashed in the only TD, but had an anemic 2.1 yards per carry. At this point, I think the Eagles should just give Ajayi 20+ carries and save Blount for goal-to-go and other short yardage situations. They’ll have good supporting players along the line, such as Jason Kelce and Brandon Brooks, but I’m unsure if that will be enough. The much less hyped Eagles defense is also for real. Chris Long and Brandon Graham have put on an impressive pass rush over the last quarter of the season and Patrick Robinson has been a significant coverage threat. And in the Divisional Playoffs, Mychal Kendricks and Nigel Bradham truly stepped up. Again, we’ve seen Diggs and Thielen be one of the best WR tandems in the NFL, so the Eagles will have their work cut out for them. Ensuring that the Vikings don’t develop a ground game will help, but as we said last week, anything can happen if Diggs or Thielen get loose. Prediction: I mentioned last week that here are some significant offensive minds in Philly, including head coach Doug Pederson, but I didn’t think they’d be able to coach up Foles before the playoffs. And in essence, I was right. Instead of coaching him up, they coached him down to game manager status. He’s going to have to take more chances to win against a more balanced Vikings team, but also needs to take care of the ball and find a way to establish a ground game. The Vikings, on the other hand, are coming off one of their biggest victories of all time, and have the prospect of playing the big game in their home stadium. They look like a team of destiny, and have the offense and defense to make that happen.